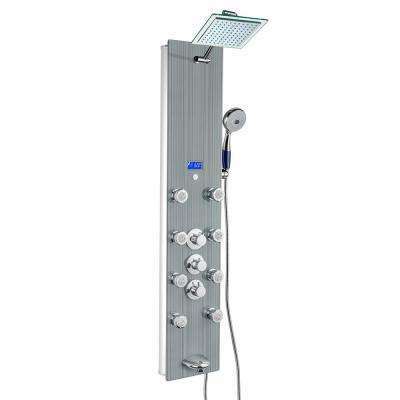 Transform your shower by upgrading to a multi-functional showerhead, or add sprays and jets that make more use of your existing water lines. 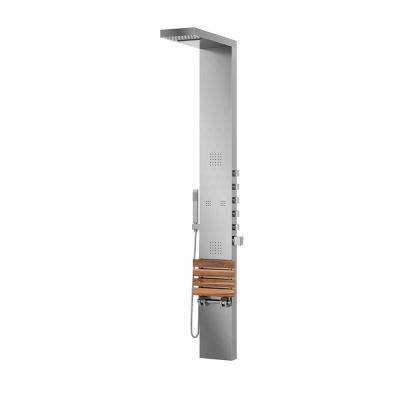 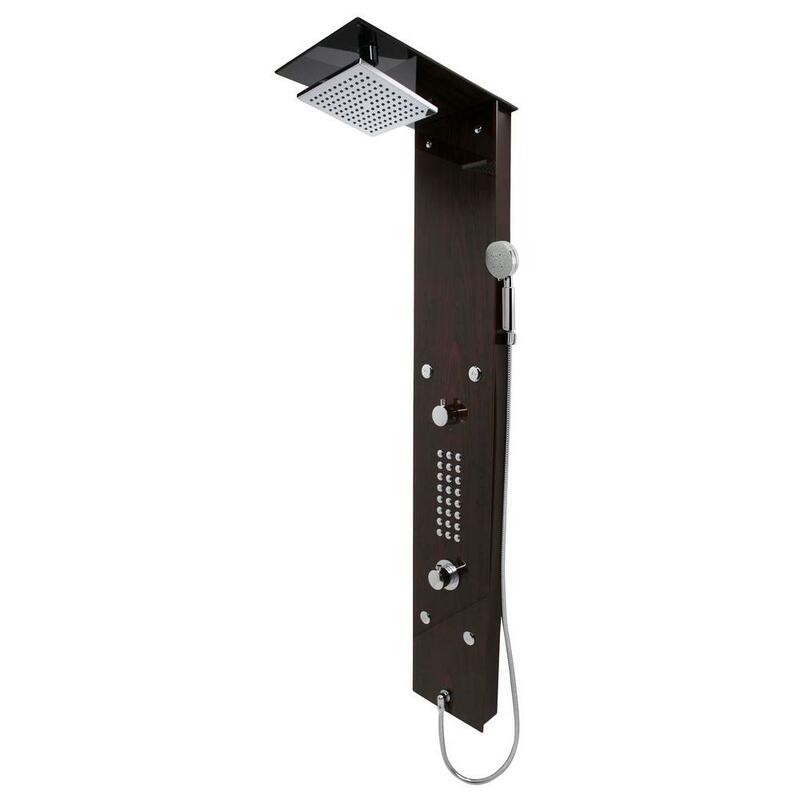 A rain shower system adds instant luxury to your bathroom. 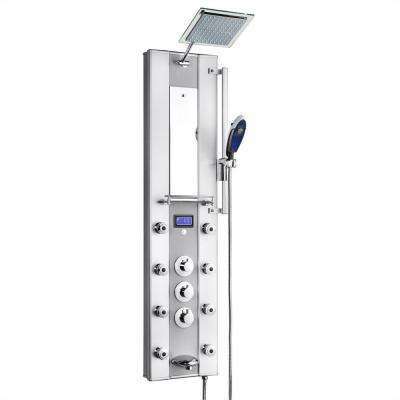 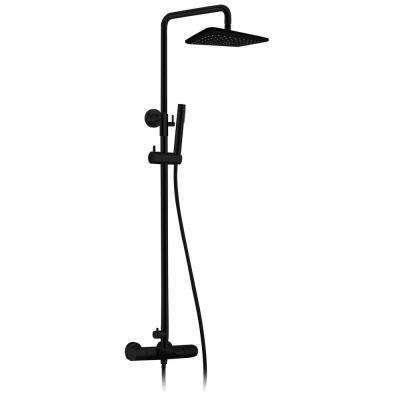 Available in a number of different configurations, these full-body shower systems soak you from head to toe, with features such as an overhead rainfall shower head, hand-held shower and adjustable body jets. 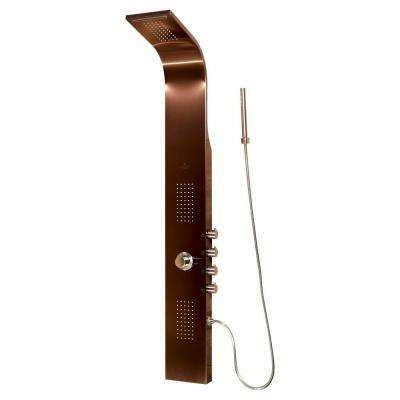 The signature of a rainfall shower system is the specially designed showerhead, which provides a light cascade of water from directly above, just like raindrops. 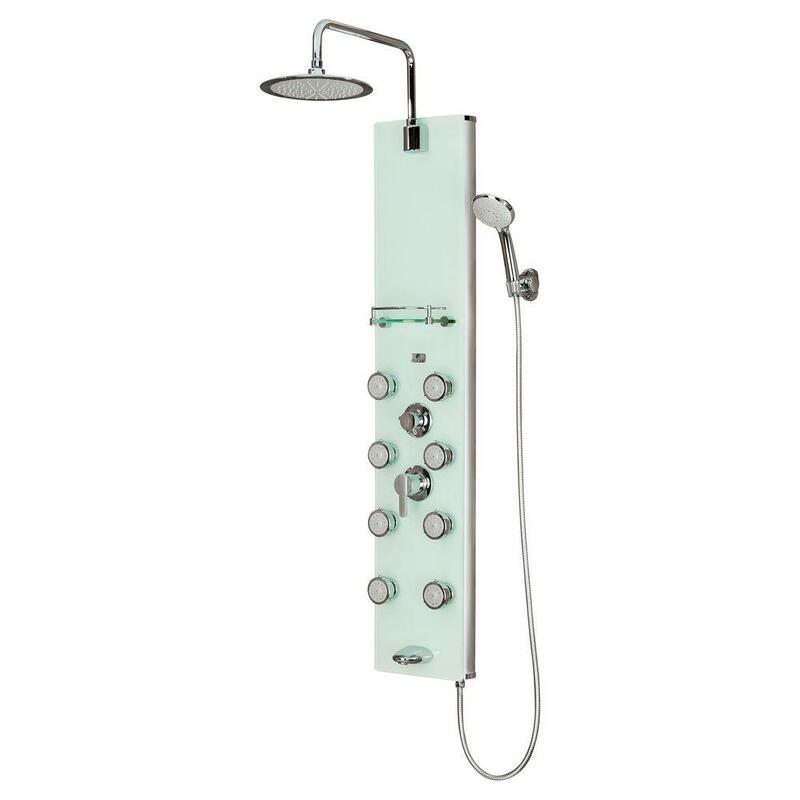 Visit our custom shower guide for tips on finding the perfect one for you. 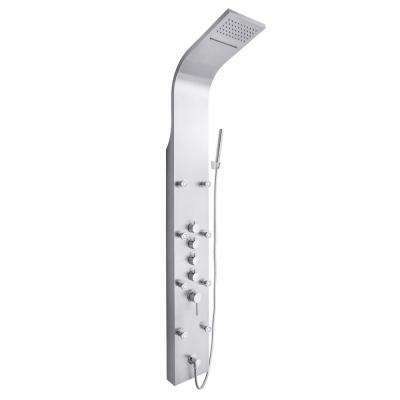 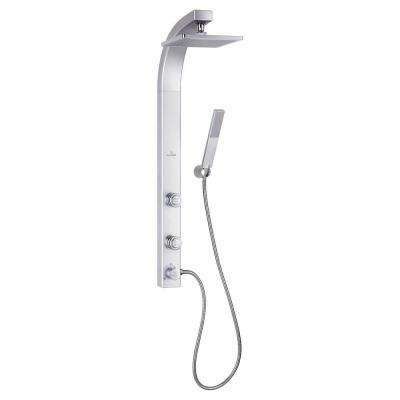 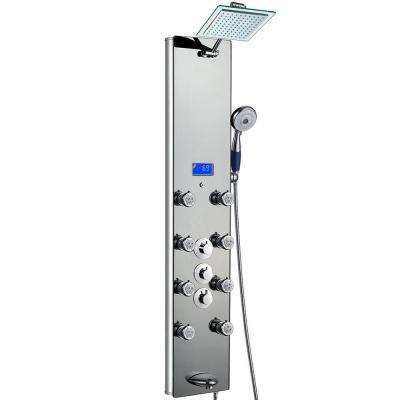 Many shower tower kits also offer a shower panel with high-pressure body jets that both rinse and massage. 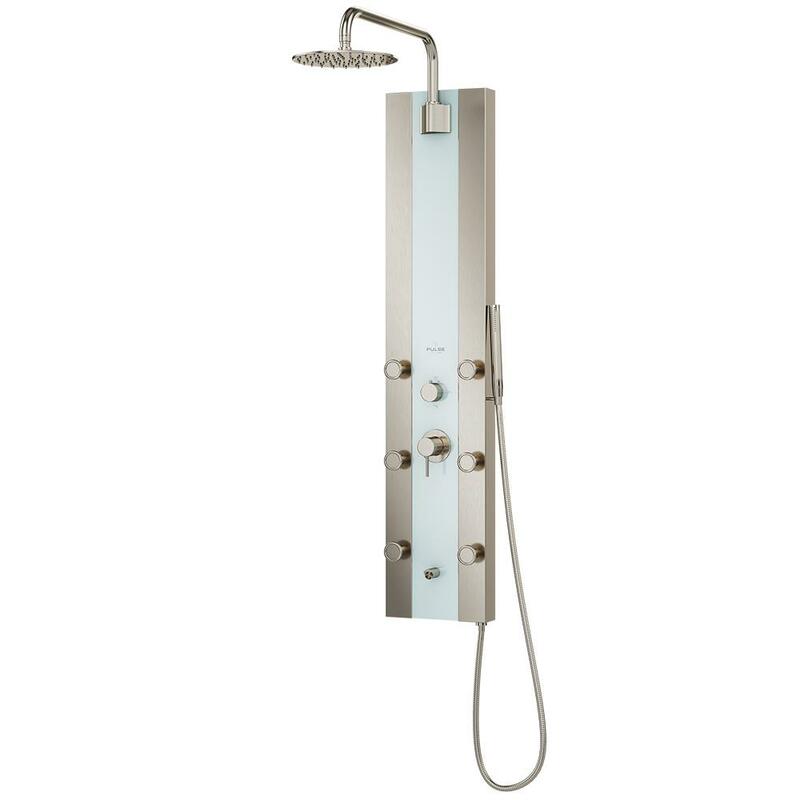 In addition, shower tower systems usually include multi-jet hand-held showers with adjustability from wide coverage to pulsating massage. 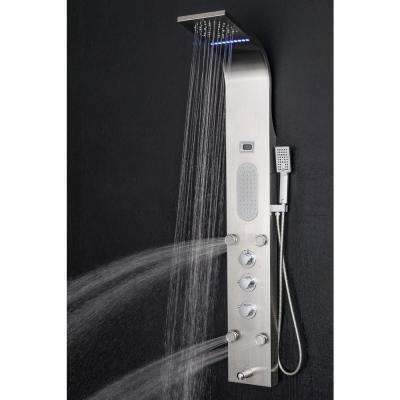 Manufacturers even add high-tech features such as Bluetooth audio speakers, while other models provide LED temperature displays. 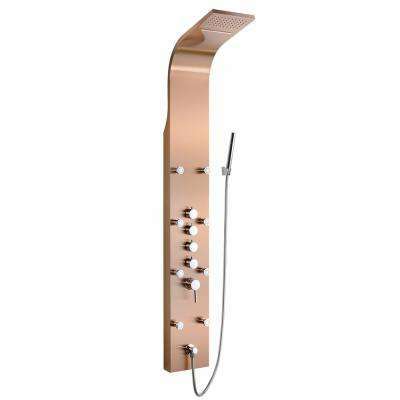 Shower panel systems are available in finishes such as chrome, nickel, brass and bronze to help you create exactly the look you want in your spa shower. As an added bonus, rainfall shower heads generally have a low flow rate for better water conservation. Many spa shower systems can be easily installed in 30 minutes, with no demolition or plumbing required. 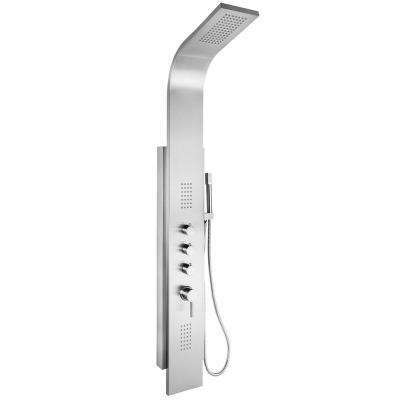 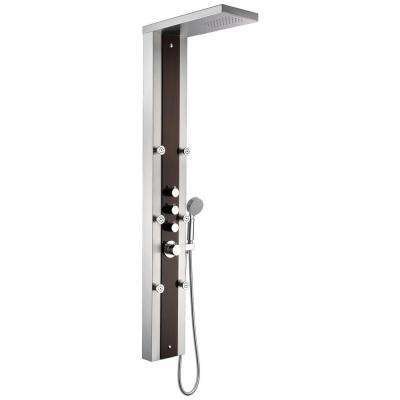 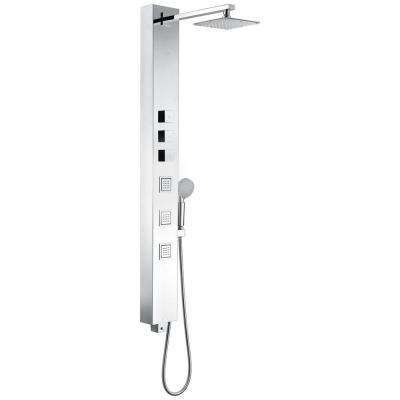 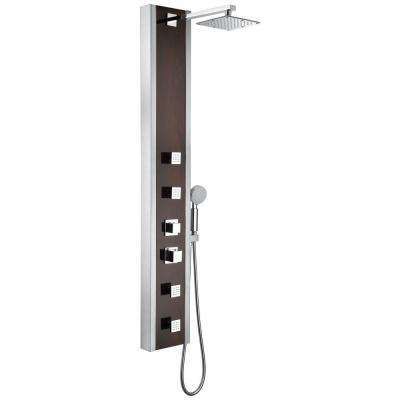 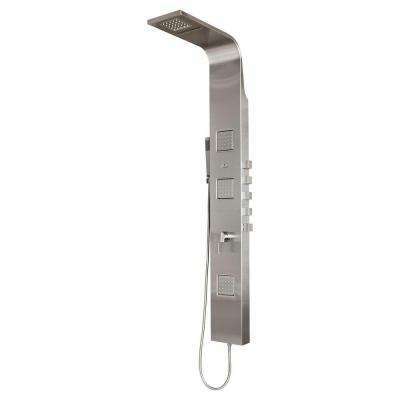 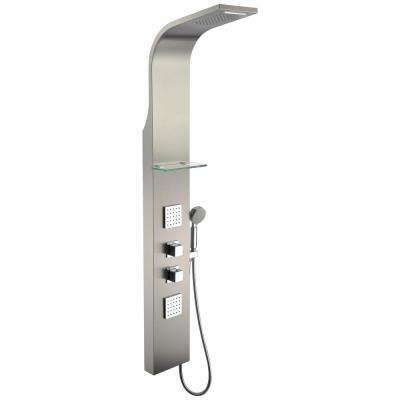 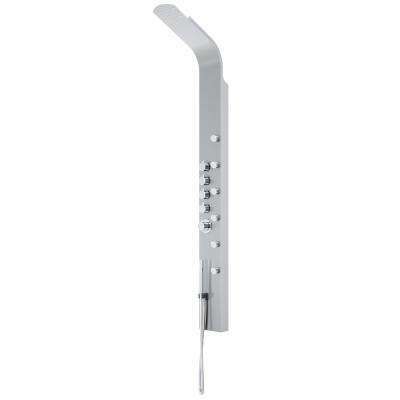 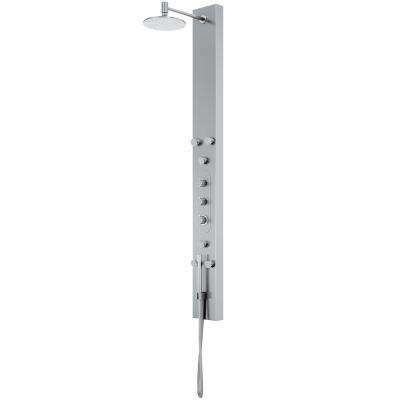 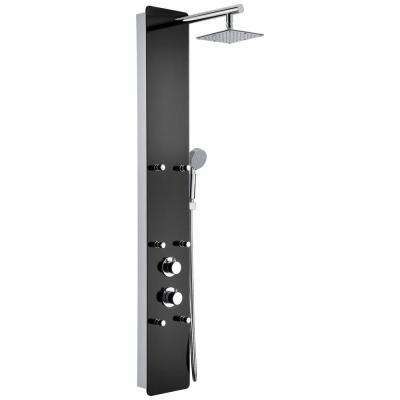 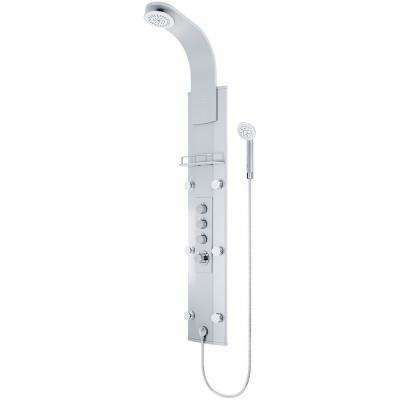 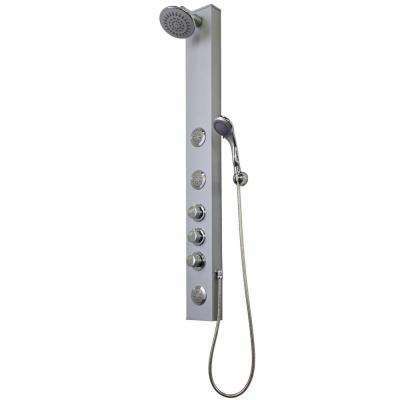 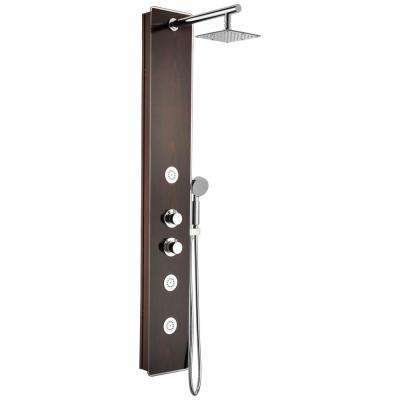 Kits include mounting brackets that attach to your existing shower wall, and the shower tower panel simply connects to the shower head outlet. 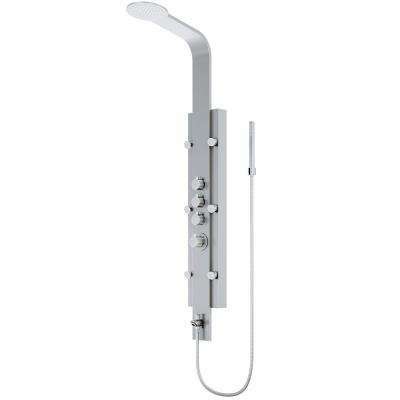 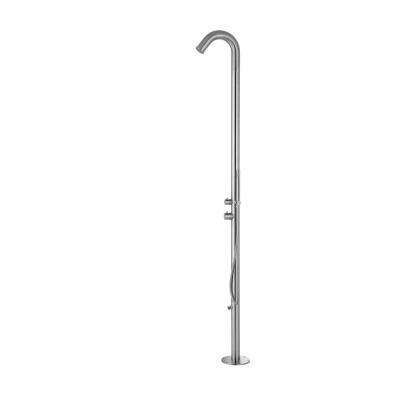 A standalone rain shower head system is also an easy way to add the relaxation of raindrops to your shower, and this video shows how they can be attached to a standard wall-mounted shower arm.